5 kg coco peat Briquette are a compressed form of coir pith particles. It has two variants known as High Ec and Low Ec. EC is a short form of electrical conductivity. EC and pH level of coco peat will affect in the growth of the plant. 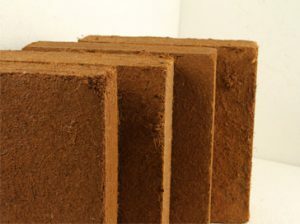 5kg Coco Peat Blocks Are Manufacturing In Pollachi, Tamilnadu. The product specification was listed below those specification of 5 Kg COCO peat briquette suppliers in pollachi, Coimbatore. Apart from Ec level everything is same as low Ec. These two types of 5 kg coco peat block exporters are in Coimbatore, India. 5 kg coco peat briquettes suites large farming if they apply directly for soil conditioning, composting, animal bedding or they can process to substrates. A soil conditioner is a product which is added to soil to improve the soil’s physical qualities, especially its ability to provide nutrition for plants. In general usage the term soil conditioner is often thought of as a subset of the category Soil Amendments which more often is understood to include a wide range of fertilizers and non-organic materials. and restores vitality to depleted soil. It’s also free, easy to make and good for the environment. The compost pile or heap is the time-honored place for all organic refuse, the real gardener’s source of humus for incorporation into the soil. The important thing to remember about composting is that it is a biological process, one that involves bacteria, fungi and other soil organisms. These organisms require food to do their work, which means you must supply the same elements that are needed by higher plants. The one difference is that these organisms do not have chlorophyll and are not able to manufacture their own energy foods such as sugars and starches. They draw upon the organic matter for these foods, but in doing so use up large amounts of nitrogen, some phosphorus and potash and small amounts of other elements. For this reason, the application of fertilizers to the compost pile will allow the organisms to work at their best, provided temperatures are favorable for their growth and the pile is moist, without being so wet that air is excluded. Coco peat is ideal for Animal bedding; it is easy to lay on the floor layer for animal sheds due to its high absorbing quality and soft nature. It is simple to remove and refilling in the floor. 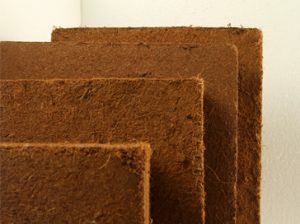 Coco peat is widely using in poultry farms, dairy farms etc.